Motorhomes can be hired throughout Africa and can be a great way to experience this incredible continent. In fact, there is no better way to fully appreciate the diverse cultures and awe-inspiring scenery that Africa has to offer than to take an overland trip in a hired motorhome. From Egypt and Morocco in the north, to the southern tip of South Africa, Africa is a continent of constant change and excitement. If you hire a motorhome there is never a limit on what you can do. Take your motorhome on Safari in Kenya and see elephants, lions and hippopotamuses in their natural habitat. Experience the thrill of an explorer as you drive your motorhome across the magnificent landscapes that the African bush has to offer. 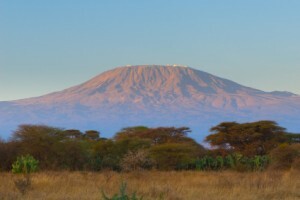 Visit Tanzania and bask in glorious sunshine while you enjoy the beaches of this East African country. A hired motorhome can be the perfect way to explore the golden coast area. Park-up in coast-side campsites and enjoy the sea air and magic of the stars uninterrupted by the glare of city lights. Kick back and relax by some wonderful secluded beaches or travel to the lively resorts of Zanzibaror Pangani for some sociable sunbathing. Throughout Africa there are numerous national parks which allow travellers to explore the natural beauty of this amazing continent. In Uganda a motorhome could transport you to Mgahinga National Park: the smallest in the country and the habitat of mountain gorillas. Use your motorhome as a flexible and convenient transport option to bring you to the area where visitors can observe man’s closest animal relation interacting with its natural environment. Drive your motorhome into the beautiful wilderness and then climb the mountains of Uganda, appreciating as you go the incredible lushness of the surrounding forest. See the incredible underground churches and remains of ancient civilization that Ethiopia has to offer from the comfort of a hired motorhome. Travel from the mountainous north to the low deserts of the south observing the dramatic changes in terrain from the comfort of your motorhome. Motorhome hire in Africa allows the traveller to connect with the landscape and appreciate its beauty. Compared to taking flights between attractions, a motorhome offers the opportunity to observe transitions in the landscape. In South Africa, stop off in sunny Cape Town to drink in the vibrant nightlife of the city before driving your motorhome deep into the vineyards and wine growing country of the area. Relax and sample some of the countries internationally renowned wines without worrying too much about budget – a motorhome is a cheap method of travel which will allow the user to save their travel money for what counts. 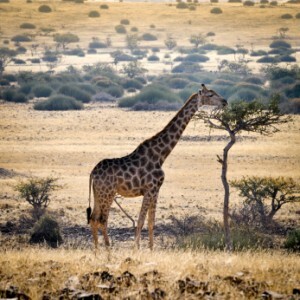 Alternatively, if you are seeking adventure, use your motorhome as a jumping off point for an African activity holiday. Africa offers an opportunity for travellers to try almost any extreme sport so get your adrenaline pumping with activities from abseiling to paragliding and from caving to horse-riding. Motorhome Hire Africa will allow you to really connect with the land through which you travel. The vast expanse of Africa can only truly be appreciated from the open road. Go exploring and discover what motorhome hire in South Africa has to offer. Campervans are widely available in South Africa and can be hired anywhere from Cape Town to Johannesburg, Durban to Port Elizabeth. With its game parks, scenic coastal routes and well maintained roads, South Africa is perfect for a motorhome holiday. Free yourself from rigid itineraries and experience the beauty and splendour the landscape with a sense of freedom that only a motorhome can offer. Motorhome holidays are ideal way to really get to know the country as there are campsites situated in some of the most beautiful locations in South Africa. In a motorhome you will get a chance to visit areas that are not normally seen by visitors who are not driving in a motorhome. If you are a city lover then drive your motorhome to the vibrant and dynamic Johannesburg with its throbbing nightlife and exciting vibe. Alternatively head down to the happening beach front at Durban and enjoy the incredible sea and sand. 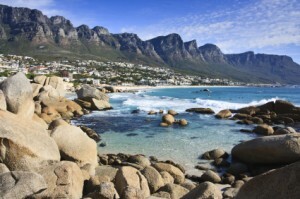 South Africa is a great place for a beach-based motorhome holiday: twenty-seven South African beaches have been awarded international Blue Flag status for 2010/11. If you are looking for a more relaxed motorhome experience, avoid the crowds and head up the west coast towards Namibia. Here you will find spectacular seascapes which can be enjoyed from a motorhome. The stunning wind-lashed scenery of the coast may at times look dry and barren. But in spring the region’s wild flowers transform the area into a magic carpet of colour through which you can drive. Places to visit include Eland’s Bay, Paternoster, Lambert’s Bay and Yzerfontein, all of which can be reached easily by road. A place for the more adventurous motorhome traveller to visit is the Wild Coast – one of South Africa’s most remote stretches of shoreline. Stretching from East London in the Eastern Cape all the way north to Port Edward and the southern border of KwaZulu-Natal, the region is home to some of the most beautiful coastal scenery in the world and quiet nature of the region lends itself easily to campervan travel. South Africa is one of the top surfing countries in the world, known for consistent high-quality surf. Motorhomes can be hired to bring participants closer to their sport in a cost effective and flexible manner. There is also an opportunity to take part in great sailing, sea kayaking and surf-skiing with some of the best wind and kite surfing in the world, South Africa is an incredibly exciting place to be! Try an abseiling and canoeing trip on the Storms River Gorge. Motorhome travel in South Africa can be an exhilarating experience. South Africa is blessed with fantastic rivers, beautiful scenery, and a climate made for the outdoors enthusiast, so if you’re looking for action it’s the perfect destination. There is something for everyone with mountain biking, rock-climbing, horseback safaris and skydiving. An alternative side to South Africa can be seen in the amazing wine lands of the Western Cape. Take a trip in your hired motorhome to the historic Simonsig, the scenic Rustenberg, and the red wine specialists of Kanonkop. Motorhomes can take you wherever you want to go. Move on or stay longer – with motorhome hire, it’s up to you.